12 members and a visitor attended. 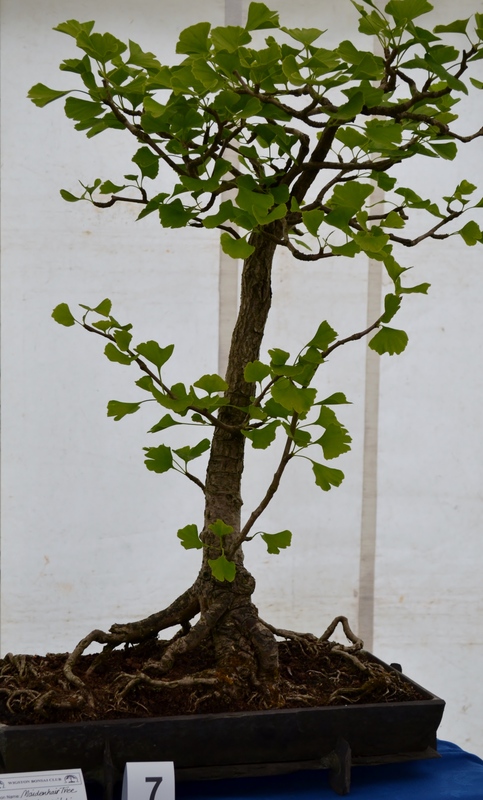 This evening’s event was a new project for us – a Swap Shop & Bring’n’Buy when an assortment of trees. 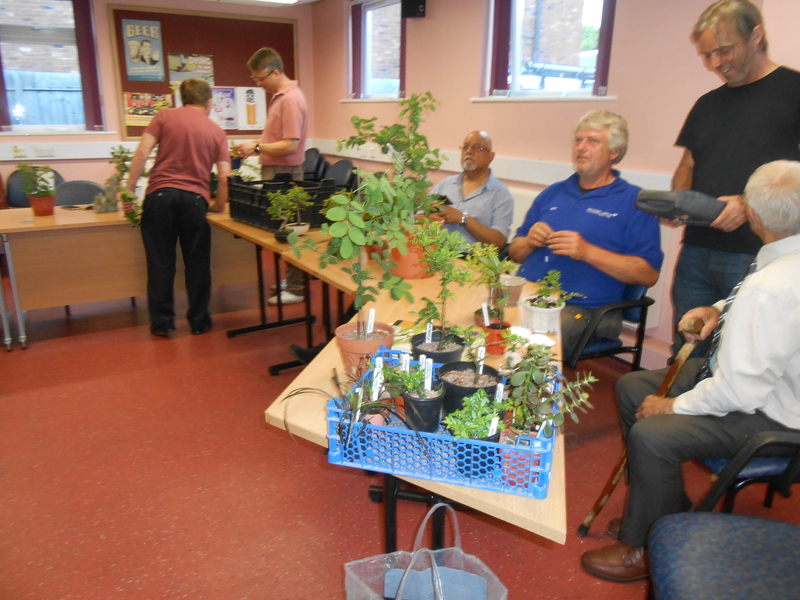 plants, pots, materials, and books were brought to the meeting for member’s requirements. 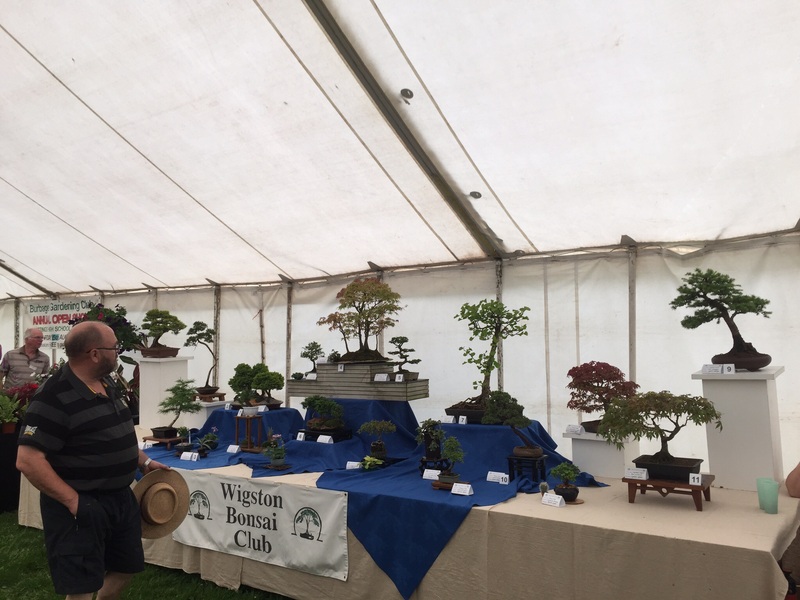 It was interesting to see Trevor’s first handmade pots in a variety of styles – he is a budding potter and bonsai enthusiast. 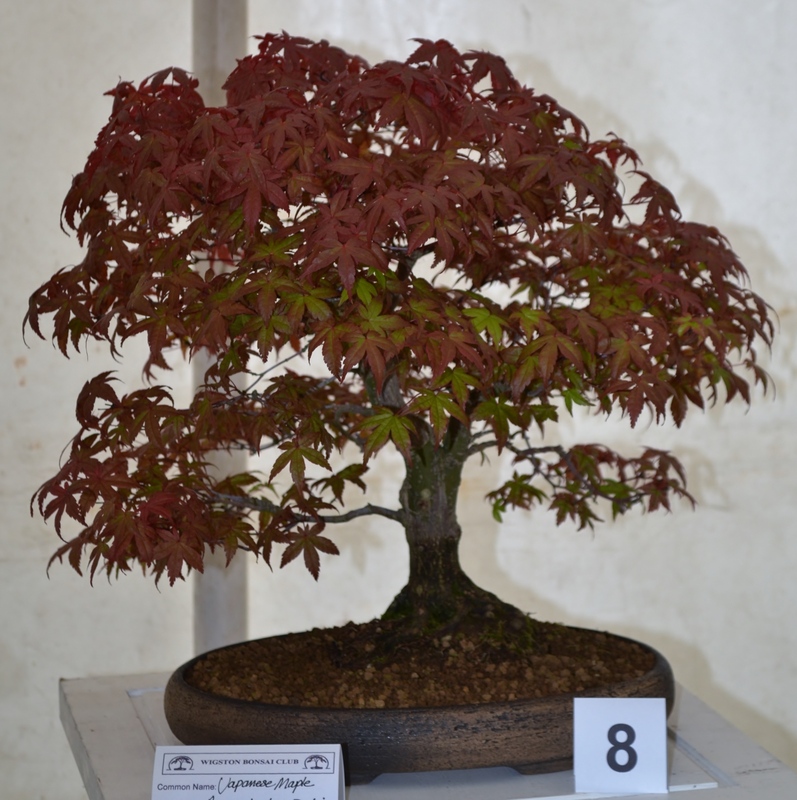 The Bosworth Show was discussed and Mike confirmed the top places for the public voting and Winner beingFrank with 100, Olly Joint 2nd with two exhibits of 68 each, and Trevor 3rd with 55 votes. Every exhibit was voted on by the public which was also a good response for everyone. It was also announced that unfortunately we need to find a new meeting place from beginning of 2016. Our current venue is going to be refurbished and our room will disappear plus the fact we have now outgrown the space. So we are looking for a new location within Leics that can provide us with a room for 2hrs, with tables to work on, and good car parking facilities for our members who come from all over the county from Coalville and Loughborough and places in between. Please contact Mike or Carol with any suggestions. Your help will be greatly appreciated. 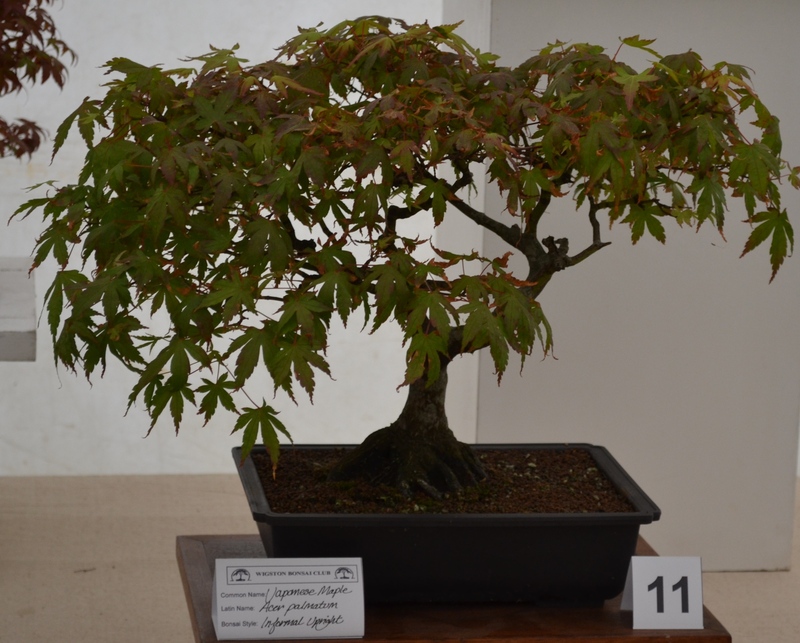 Our next Club meeting on Tues 4 August will cover Maple pruning, and details for the Aylestone Show on the 31st Aug, also a Bank Holiday Monday. Apols for lateness of report but fortunately others have already contributed on this event. 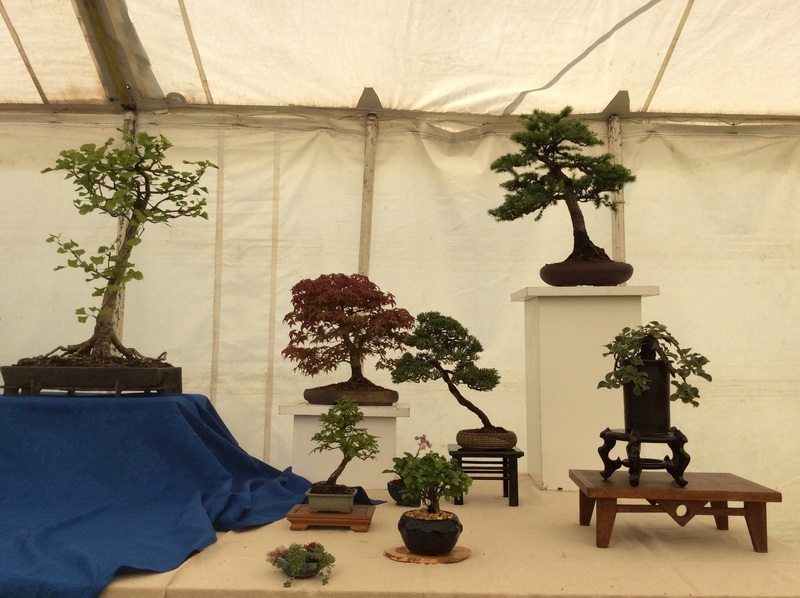 The Show was our first public display this year. We had 19 exhibits of which 12 were selected for public voting of best presentation. There was a great deal of interest from the public and members were kept busy talking about the display and our Club activities. 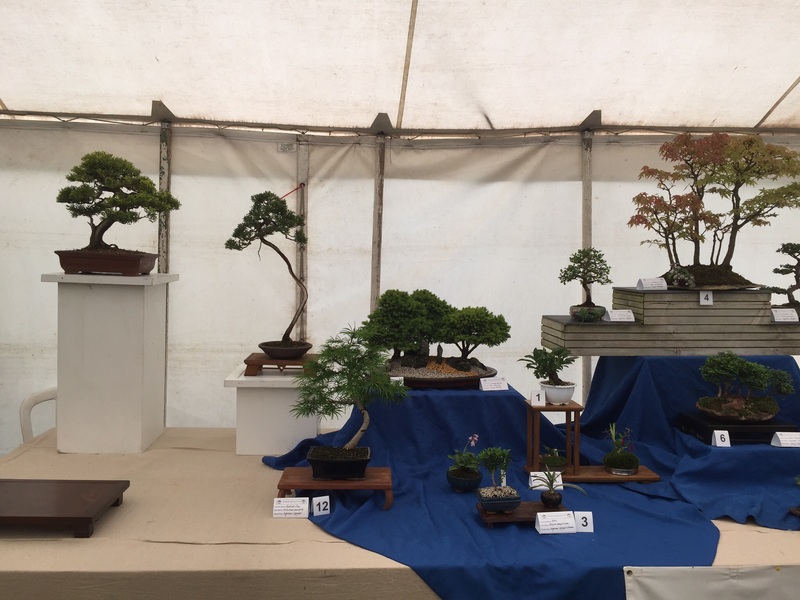 The bonsai exhibits, which included accent planting, are an indication of the levels of ability in the Club from beginners to those who have many years experience. A record 438 votes were counted this time and the winner will receive the Club Members’ Trophy at the AGM later in year. 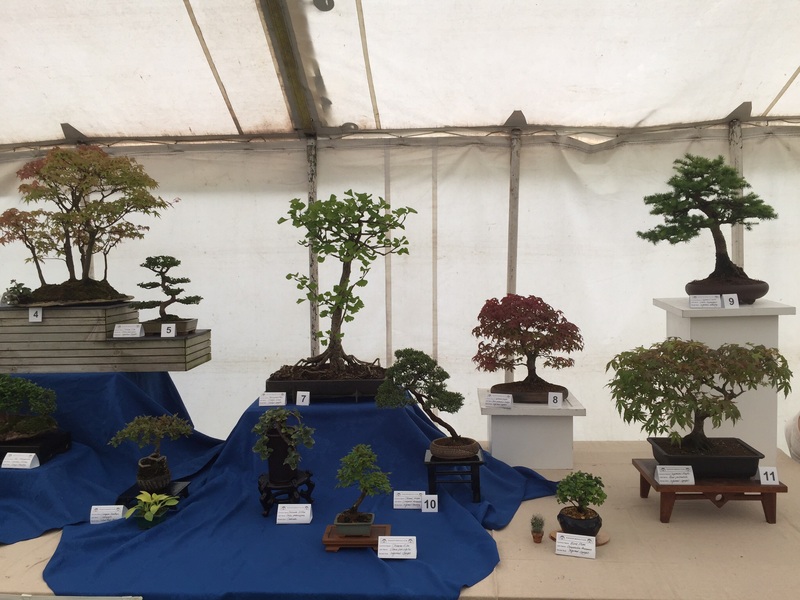 2nd pic shows the winner, Frank’s Acer palmatum group (no.4), and Trevor’s Chinese Elm informal upright (no.5) came 3rd. 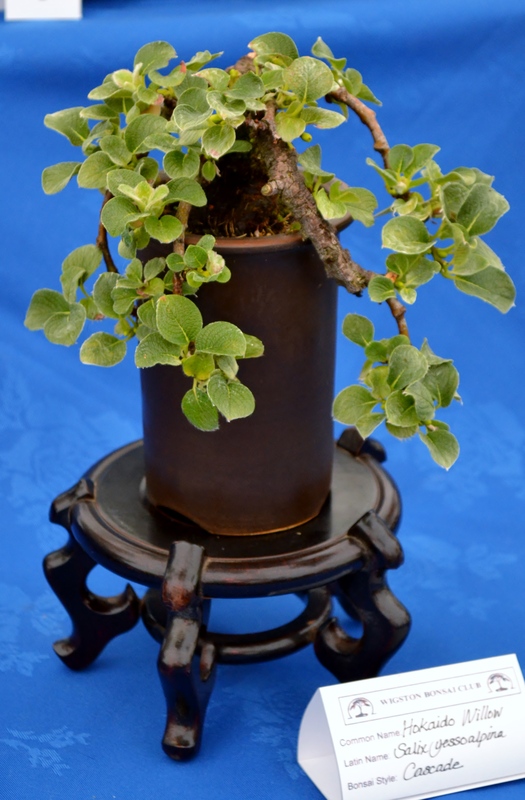 The next pic is one of the joint 2nd place exhibits. 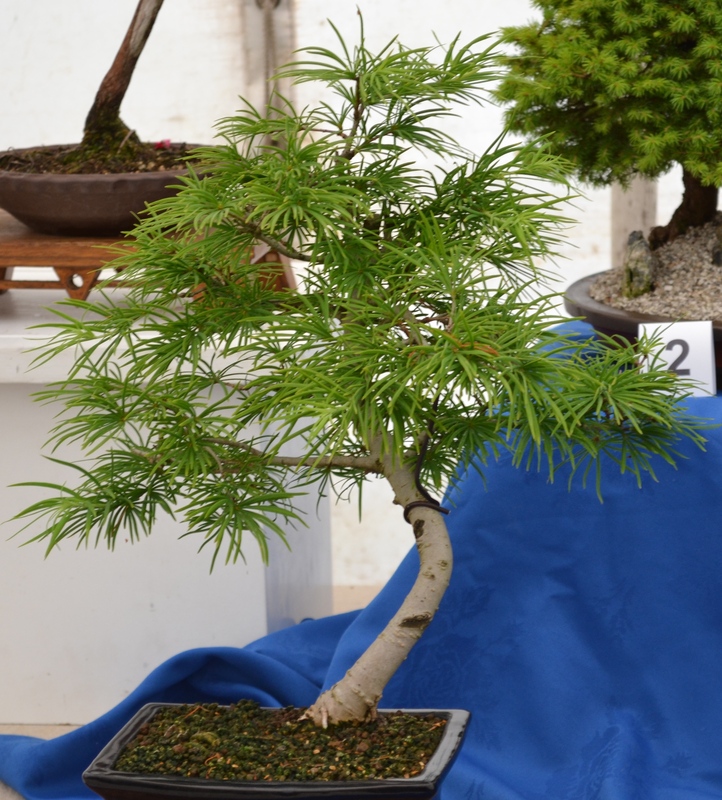 Olly was also joint 2nd with his Picea group (not shown). 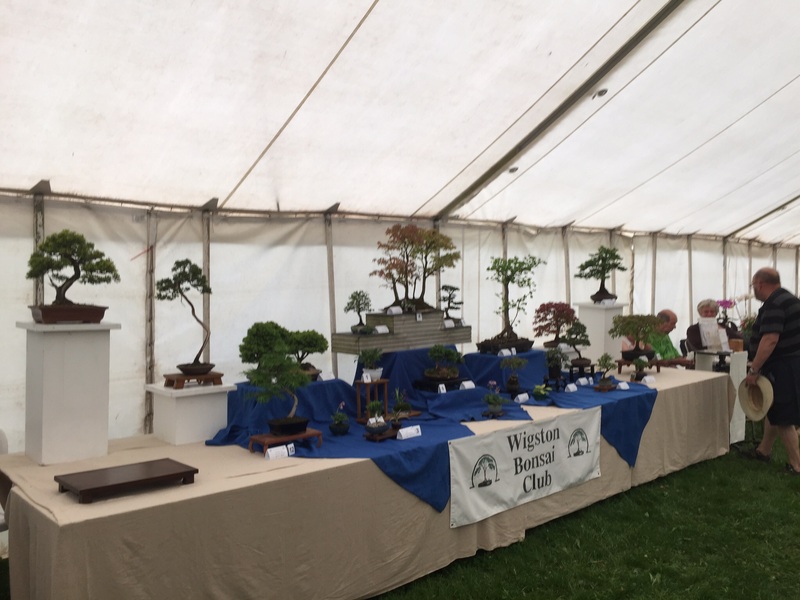 Other pics show Mike’s Salix yesoalpina, Becka’s Buddhist Pine and her Acer Palmatum, and Frank’s Gingko which were just some of the other examples. Well done everyone who participated. 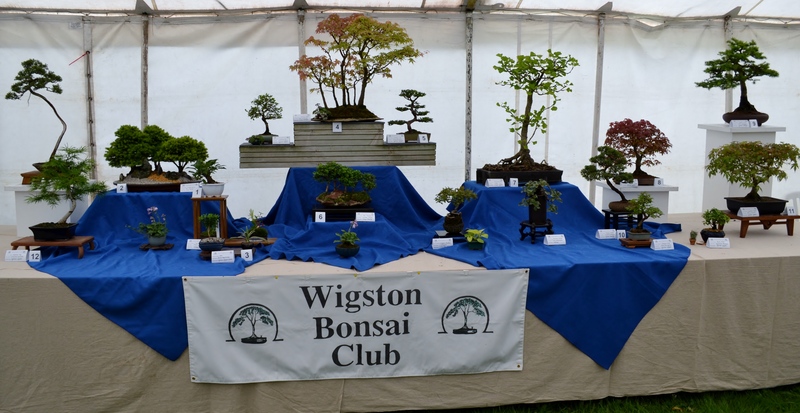 Our next public show will be at the Aylestone Horticultural Show, Leicester, on 31 August when we compete with others for best overall club display. A big Thank You to everyone who made the effort to come along and support this annual event. 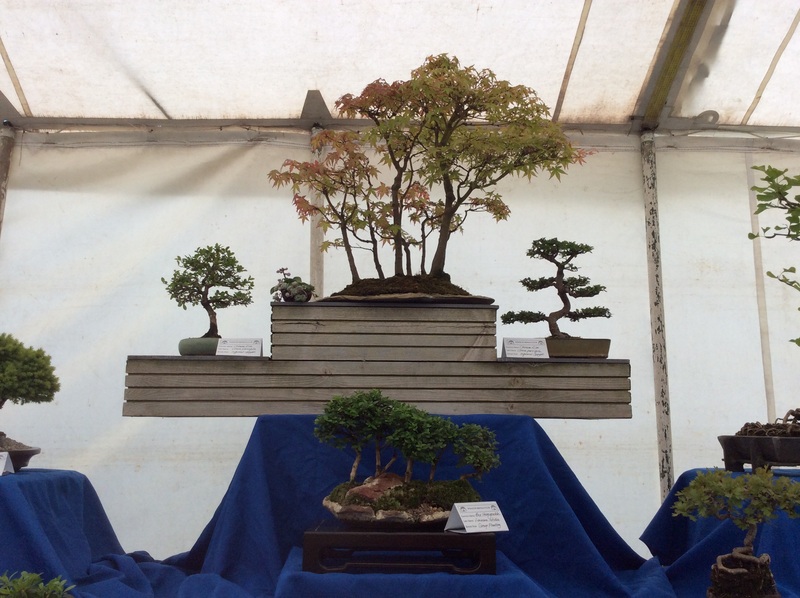 The Display looked great and we had a lot of interest throughout the day. A special thanks to Rebecca who worked tirelessly to bring in votes for our competition. With support from Carol and the two Allens we manged to get a record breaking 348 people to vote on the day. I have the result of the votes (with a clear run away winner). All will be revealed at the next meeting.